I have succulents and small cactus plants all around my house. I love them…and not just because they’re very hard to kill ? 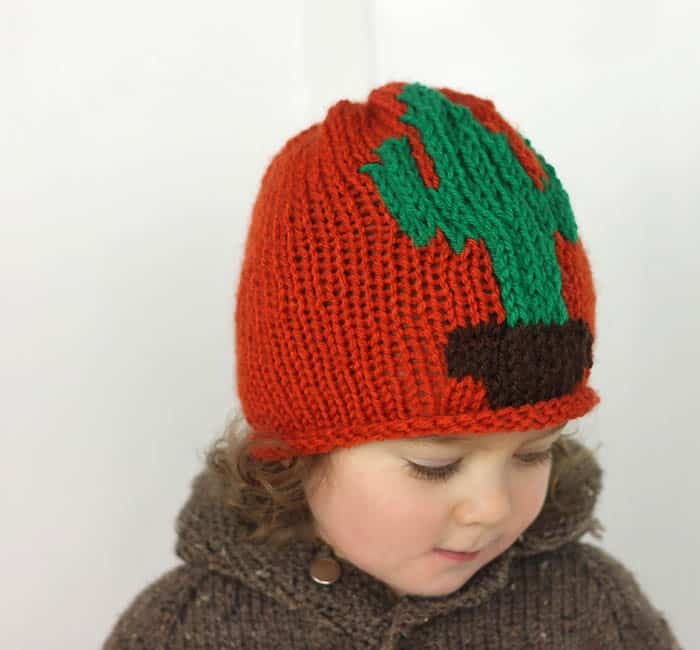 I decided to channel my plant love into a hat for Indigo and create this Cactus Baby Hat Knitting Pattern. I found this free tool at Chart Minder that lets you design and chart your own knitting patterns. I had some difficulty figuring it how it worked at first but once I did, it was easy enough to use. I always used graphic paper to make designs, but this is a much better way to share patterns on the blog. This hat is knit in the round with a rolled brim. I kept the style basic, so the cactus could take center stage. I will definitely be working on more designs in the future. I’d love to knit a sweater with some kind of image on the front. Happy Knitting! Cast on 54 (62) sts with the terracotta color and join together and place a marker. Work in knit stitch or 3 rows. On the 4th row, knit for 20 sts from the marker and begin the cactus pattern on the 21st stitch. Each square represents one stitch. Continue knitting in the round and working the cactus pattern. 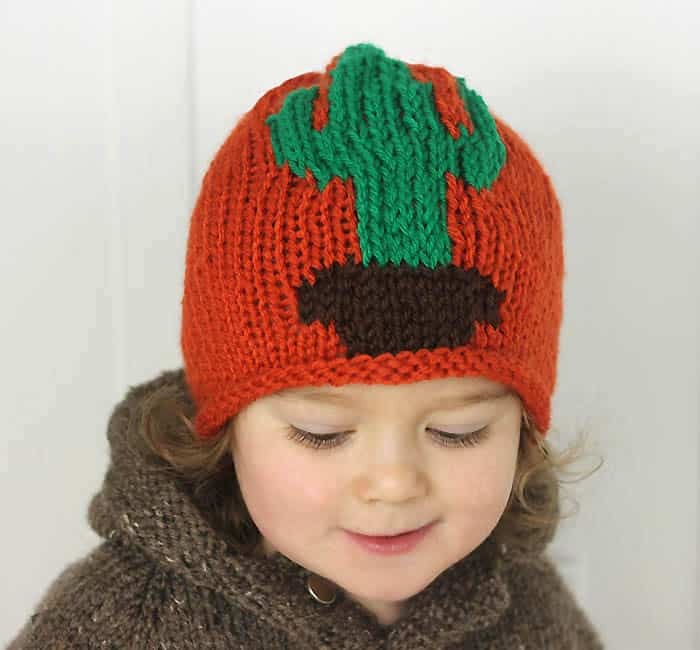 After you are finished with the cactus, knit 2 more rows. I want one in a adult size!